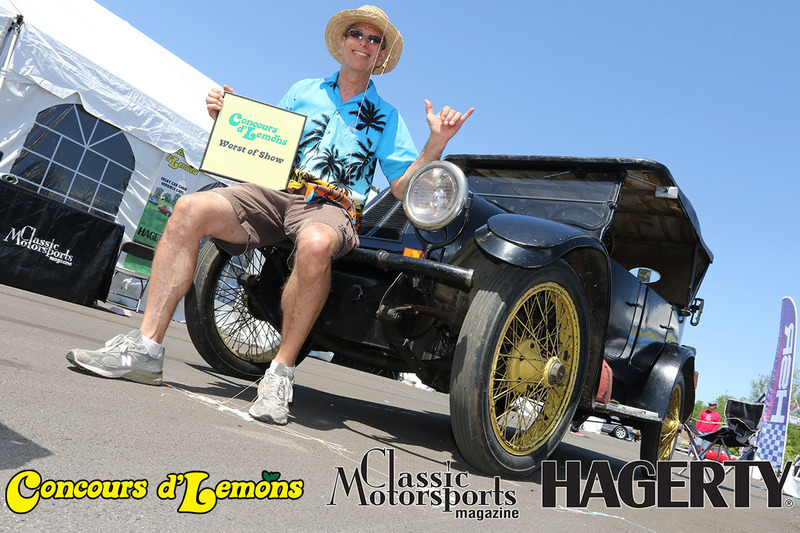 After collecting the coveted “Worst of Show” award at the Concours d’Lemons Georgia, Jim Eby plans to drive his 1919 Franklin to all the Concours d’Lemons events in the continental US, and we’d like you to help. 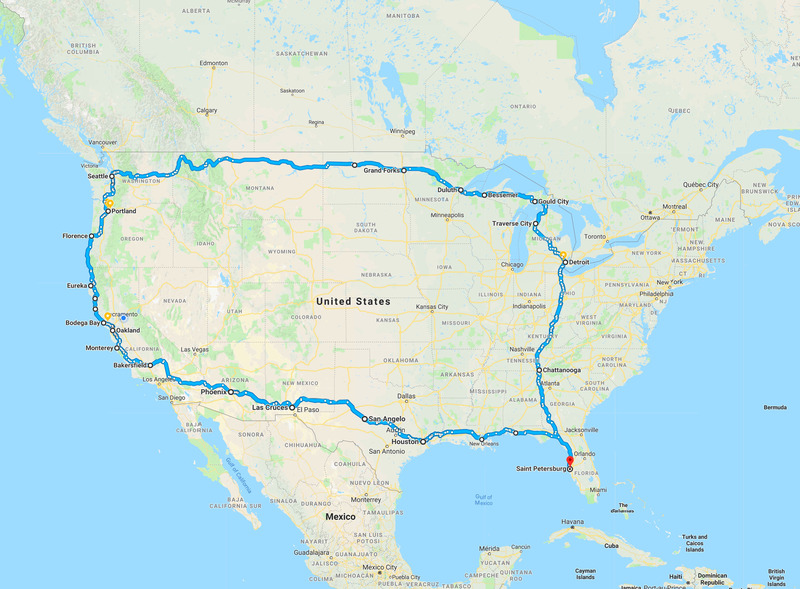 If you live somewhere near the loosely outlined route of this road trip of near certain death you can help by offering up some garage space should something go terribly wrong and the 99-year-old Franklin require some repairs. Let us know by emailing your info to franklin@concoursdlemons.com and we’ll set up a chain of folks with a few spare tools and more common sense than Jim. The Franklin tops out at about 45mph so Jim will be traversing the country on back roads, not the interstates. Progress will be further slowed by having to stop every 100 miles or so to oil the top end of the Franklin’s inline 6 air-cooled engine. Jim estimates he will be able to do about 250 miles a day before daylight and his will to live run out for the day. If by some miracle, Jim or the Franklin don’t expire on the roadside, they will face stiff competition from the exceptionally horrible cars that turn up for Concours d’Lemons Michigan, July 28, 2018 at the Inn at St. Johns in Plymouth, MI and at Concours d’Lemons California on Aug. 25, 2018 at Seaside City Hall in Seaside, CA. We told Jim the best he can probably hope for is a hastily made up “Road Hammer” trophy, but he was undeterred. 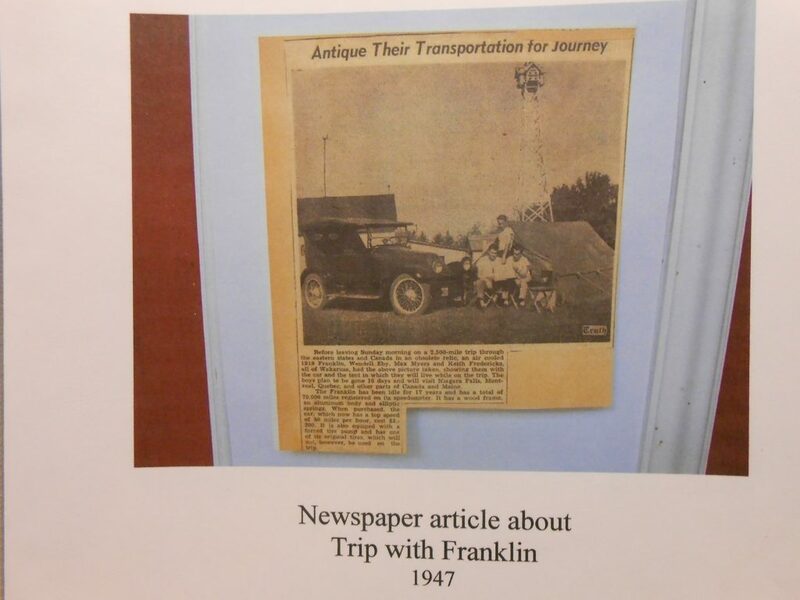 He cited the family history of his grandfather, who bought the Franklin new as his first car, and his father to take the Franklin on long road trips. It appears automotive insanity run deep in some families. Then skirt along the gulf coast to hwy 19 in Florida and home. 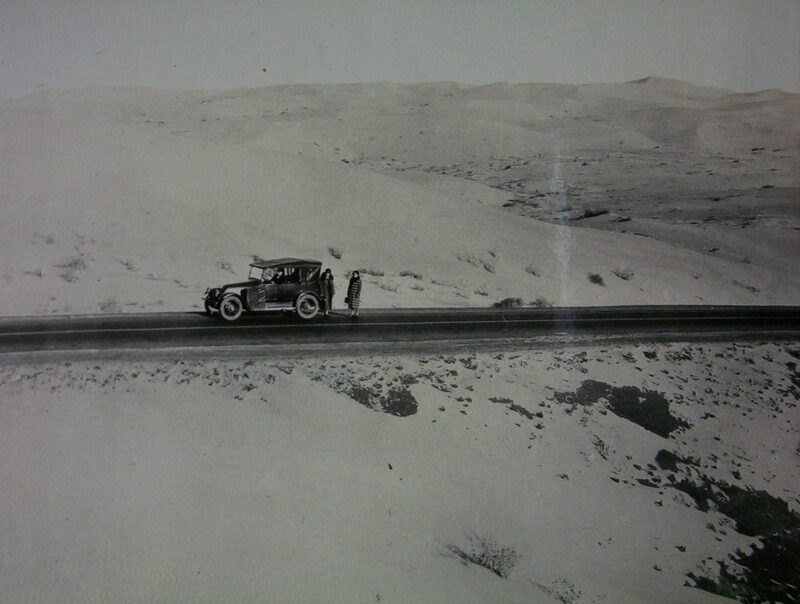 Jim’s grandfather took the Franklin on a cross country road trip in 1929. Photo taken in the CA Desert.